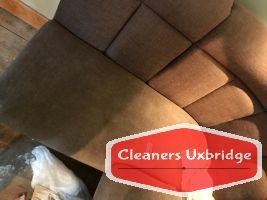 If you want your favourite pieces of furniture to be in top condition at all times, you will have to do just one thing – give us at Cleaners Uxbridge a call and we will provide you with a truly top notch upholstery cleaning service in Uxbridge that is going to live up to all your wishes and expectations. As one of the best respected professional sanitation firms in town, we take great pride in the fact that we never fail to cover the expectations of the people who have trusted us. Cleaning upholstery is among our main specialties and we do it with the due diligence and care for the detail that are unmatched by any other contractor who is currently operating in the area. Our licensed, carefully vetted cleaners in Uxbridge have access to the latest equipment and methods that have been used numerous times in the field and have proven to produce the best results indeed. Our steam cleaning machines are perfect for both general maintenance of your chairs, sofas, couches and other furniture, but also for removing stains and dirt from deep in the fabrics of your pieces. Money is another reason why you should consider hiring namely us to take care of your furniture. We will charge you just £18 per armchair, £30 for a two-seater sofa, and £12 per sofa seat. As you can clearly see, you will not have to part with an arm and a leg in order to afford the best professional treatment for your furniture, and keep it in the best shape imaginable at all times. 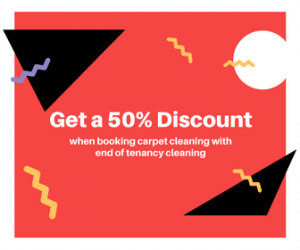 Additionally, if you book upholstery cleaning along with another steam cleaning service for over £100, you will receive an instant 10% discount. Feel free to get in touch with our friendly and very helpful around the clock client support in order to learn more about our excellent prices and exclusive, very special deals. Cleaners Uxbridge is the best respected professional sanitation firm in town today and we will be more than happy to provide you with an opportunity to witness what has made us such. Book your upholstery cleaning in Uxbridge with us now, and let us do what we do best.